Question: How to plot correlation graphs with R^2 ? I have a proteomics data matrix. In the data matrix, I have detected a different number of peptides for each protein (detectable peptides numbers vary on the protein). Q1. How can I plot correlation graphs for each protein(gene) to compare how its' peptides behave. i.e. For protein A, I have peptides a1-a3, I want to compare a1 vs a2, a1 vs a3, and a2 vs a3. Hence peptide number varies for each protein, how can I compare each peptide and save the faceted graph into single plots, by this, I can select only required graphs. Q2. What is another possible way to present this correlation? 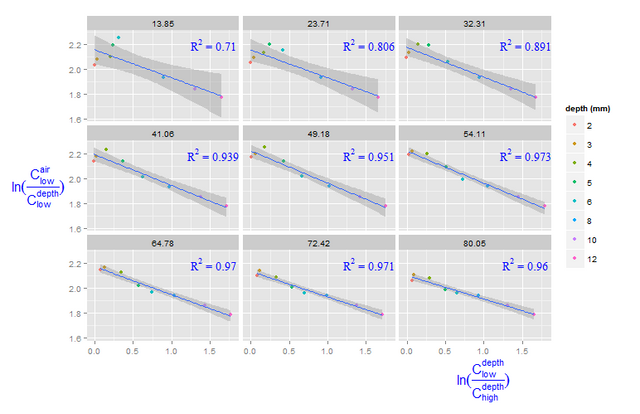 You need to beautify the ggplot. What the code does Since number of peptides vary, the plot calculate pair wise correlation of all peptides and stores in a matrix. 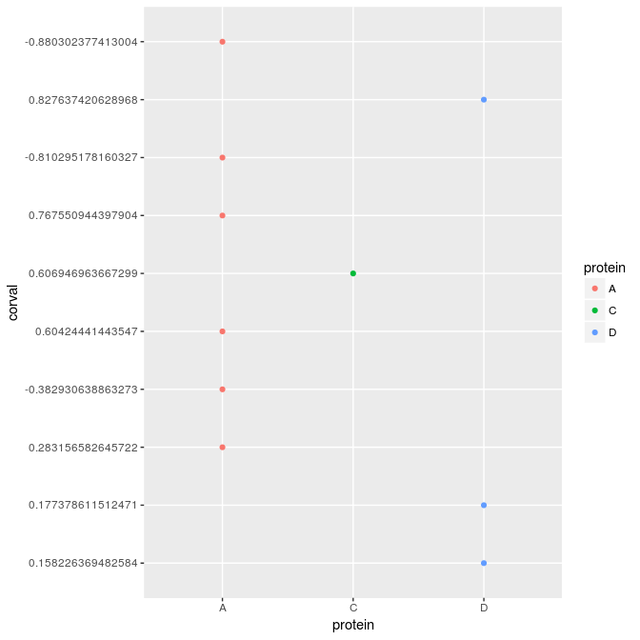 So 6 rows for A protein since 4 peptide and 6 unique pairing, B singe one peptide skip correlation, C 2 peptide so one correlation values and so on. Plot all of them on single plot.